The holidays in the hills of the State of Kentucky is considered to be an exciting and magical time of the year. 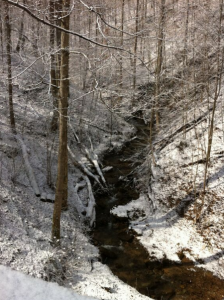 The Red Gorge region of Kentucky is especially majestic during the winter months. You may catch a few glimpses of the lingering fall leaves. It is not at all uncommon to see a hint of gold, purple, orange, and red as the last of the leaves fall from the trees and the vibrant sturdy branches remain, seemingly with arms open, to welcome the season’s first snow. Nestled throughout the hills of the area, inviting, luxurious cabins sit, awaiting your arrival. This holiday season, the Cabins of Birch Hollow would like to invite you to celebrate Christmas in a new way! If you want to enjoy the awesome experience of celebrating the holidays in the hills of Kentucky, first, you will need a place to stay. 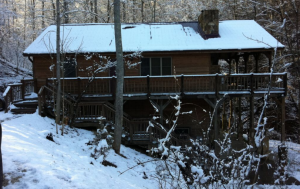 While it is true that there are many hotels and similar types of accommodations, none capture the holiday season quite like the cabins that we offer here at the Cabins of Birch Hollow. Immediately following Thanksgiving, our staff gathers to decorate each and every single one of our luxurious wood cabins for Christmas. As you arrive to your new home away from home this holiday season, you will be welcomed by a gorgeous, fully-decorated Christmas tree, and a vast array of other décor. Additionally, the fire pits at your cabin may be used to roast marshmallows and the glamourous hot tubs will be steaming. You and your loved ones will be able to gather around the tree and sing carols, bake cookies, pop and string up popcorn, and several other fun-filled Christmas activities at and around your exquisite, decorated cabin that comes with a vast array of unique amenities! One of the best aspects about celebrating the holidays in the hills of Kentucky is that you will have the unique ability to spend time away from the hustle and bustle of your everyday life. You will be nestled far away from the city and the distractions that often drive a wedge between you and your loved ones. You will be able to experience the quiet calm of the natural world and enjoy the quiet. The Cabins of Birch Hollow provide you with a unique way to reconnect with your loved ones. We know and understand the importance of family time.